I spent a good part of my childhood living in Virginia. So, I remember it through the eyes of a child. How appropriate given the recent goings on in politics there. It is important to report that I lived in the Southwest corner of the state almost as far away from Richmond and D.C. as possible, but without getting any of Tennessee on me. 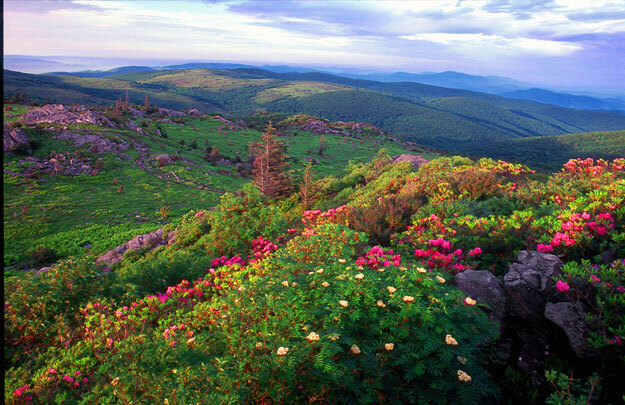 Mount Rogers is the highest point in the Old Dominion State and not far from my childhood home. It is even closer to where my brothers and I used to fish. The top three people in the executive branch of Virginia state government might as well be standing near one of Mount Rogers’ drops, taunting each other to figuratively jump. To jump, would be to resign. Gov. Ralph Northam started the dominoes falling a couple of weeks ago with some disturbing comments regarding abortion. Only a day later, a medical school yearbook of his was discovered showing Dr. Northam wearing black face and posing with someone wearing full Ku Klux Klan gear. First, Northam apologized for the 1984 photo, then a day later, denied it was him in it. The same week, Lt. Governor Justin Fairfax was accused of sexual assault stemming from a 2004 incident. Fairfax has hired now U.S. Supreme Court Associate Justice Bret Kavanaugh’s attorney to defend him, and his accuser has hired the legal team that advised Christine Blasey Ford. I have no commentary to add to that last coincidence. Third in the line of succession is Attorney General Mark Herring. In a lengthy statement issued on Wednesday, he too admitted to wearing black face at a party in 1980 at a University of Virginia party. Whew. I never realized black face was such a thing in my former home state. I wondered if my family who still live there were aware of this, so I checked. Nope. Of the top three there, numbers one and three have done something that appears to be unforgivable in modern American. I’m not the unforgiving type on thirty year old transgressions, but this is politics and government. And it appears the public has drawn a line on this–and just to be clear, I agree. Both men must go. Sexual assault tolerance? See the #metoo movement on that one. Mr. Lt. Governor, you’re gone too. Your office cannot be effective with those sorts of charges looming over it. If someone asked me how any state went four positions deep into the line of succession, I would guess there had been a tragic bus or plane accident. Maybe a tornado, hurricane or some other similar disaster. Certainly not three separate and unrelated political scandals. Now where does that lead Virginia’s state government if all three of these people acquiesce and hit the bricks? It leads to the obvious next man up, House Speaker Kirk Cox, who is a conservative Republican. Hopefully one day soon the next “man” won’t be a man. Oh, and the Virginia Speaker is only the speaker because of an actual tie in a race for a seat in the House of Delegates that was decided by a drawing from a ceramic bowl. If the other name had been drawn, the body would have been split 50-50, adding to today’s self-inflicted chaos. This takes over as the best recent example of every-vote-matters in election history. I couldn’t help comparing Virginia’s succession line to Indiana’s. I was looking at it closely because I was interested where embattled Indiana Attorney General Curtis Hill fit into it. Good news! The Indiana AG isn’t in the line at all. However, the Superintendent of Public Instruction is. I don’t have a particular problem with this constitutionally established pecking order, but if we are abolishing the office and no longer electing the position as House Bill 1005 contemplates this year, we should amend the state constitution. Yes, the three problem children atop Virginia government’s power structure are all Democrats, reestablishing that this kind of abhorrent behavior is not limited to one party or the other. The likelihood of it being limited to men, on the other hand, continues to be a safe bet. When growing up in Abingdon, Virginia in the 70’s, the “Virginia Is For Lovers” tourist campaign was all the rage. The slogan never made sense to me then. And now, it seems, even less so.